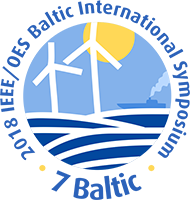 The 7th IEEE/OES Baltic Symposium „Clean and Safe Baltic Sea and Energy Security for the Baltic countries“ was held on 12-15th of June 2018 at Klaipeda University, Lithuania. The event was hosted by Klaipėda University Marine Research Institute and association Baltic Valley (Lithuania), in cooperation with the Institute of Electrical and Electronics Engineers and Oceanic Engineering Society (United States of America). The event has covered several marine related actual topics, such as energetic security, hazard planning and mitigation approaches and best practice examples, handling of the extensive ammunition and ordinance that have been disposed of in the Baltic Sea as well as ecosystems services. The participants were inspired by great talks of plenary speakers: Georg Umgiesser (Italy) with “How can Numerical Modeling be useful in Coastal Zone Management”, Victor Alari with “Wave energy potential in the seasonally ice-covered Baltic Sea based on a long-term hindcast” and Jacek Bełdowski with “Decision Aid for marine munitions – towards knowledge based management”. The submitted Symposium abstracts were kindly reviewed by the Scientific Committee members: dr. Victor Alari (Tallinn University of Technology, Estonia); dr. Nerijus Blažauskas (Klaipėda University, Lithuania); prof. dr. Zita Gasiūnaitė (Klaipėda University, Lithuania); dr. Evelina Grinienė (Klaipėda University, Lithuania); dr. Loreta Kelpšaitė-Rimkienė (Klaipėda University,Lithuania); dr. Jūratė Lesutienė (Klaipėda University, Lithuania); dr. Jolita Petkuvienė (Klaipėda University, Lithuania); dr. Sergej Suzdalev (Klaipėda University, Lithuania); prof. dr. Hans Georg Umgiesser (Klaipėda University, Lithuania, ISMAR-CNR; Institute of Marine Sciences, Italy); dr. Diana Vaičiūtė (Klaipėda University, Lithuania). The event programme was arranged by the Symposium Organizing Committee and included 7 technical sessions with oral presentations and poster session. In those sessions scientific community and practicioners from Europe, Russia, Asia and USA shared their knowledge in 29 oral presentations and 21 posters. 30% of presentations were done by young researchers, who have just started their first scientific investigations of marine environment. Small part of the participants had an opportunity to take part in the field trip to the magnificent dunes of the Curonian Spit – a UNESCO World Heritage Site. The success of the event would not be possible without sponsorship opportunities, which were kindly provided by the partners of the international SBOIL (Oil Spill Response through clean-up with biogenic oil binders) initiative, including the University of Rostock; Szczecin Maritime Academy and World Maritime University. The Symposium provided an excellent opportunity to share the knowledge between different countries and even different Continents, covering different water basins (Baltic Sea, Black Sea, North Sea, Barents Sea) with geographically specific issues. Discussions on the relevant scientific topics continued in a friendly atmosphere during the coffee breaks and other events, taking place after the official technical sessions. The 7th IEEE/OES Baltic Symposium has strengthened the existing and established new cooperation platform for the new actors, working in the marine related scientific fields, providing new possibilities for further research activities and cooperation between different countries. The success of the event has inspired Organizing Committee to consider the possibility of next Symposium to be held in 2020 in Estonia.